AB/DL, essential item, the Super-Sized Pacifier with Paci holder clip strap for AB/DL's. 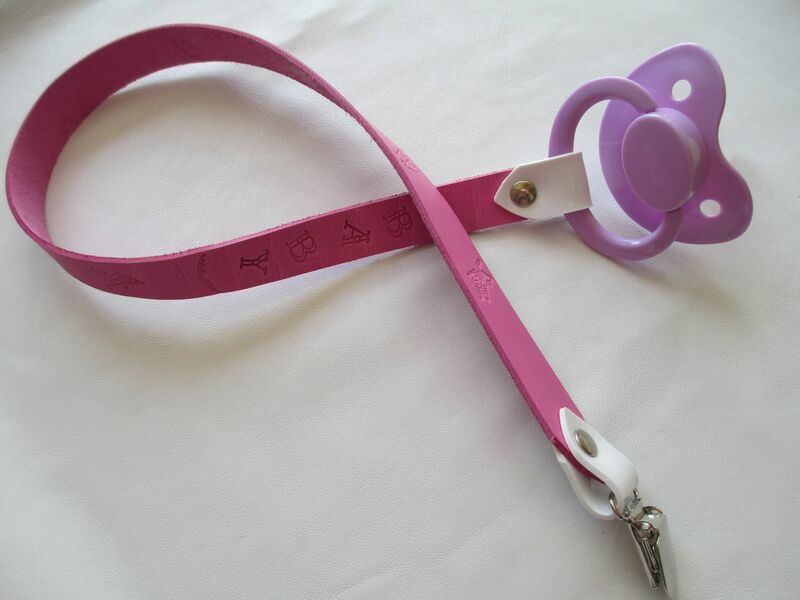 Which comes with a fixed leather Paci holder clip strap. These are a Special Edition Message Leather Paci Holder Clip Straps and Large shield Pacifiers. 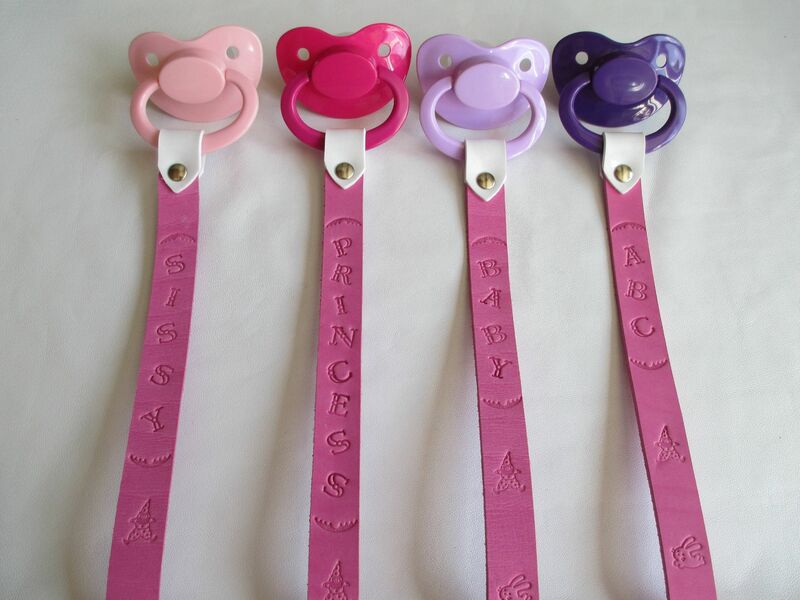 Each paci holder strap has a sturdy chrome clip to attach it to clothing etc and the other pvc end is fixed onto the pacifier handle. Stamped words available are Princess, Little, Baby, ABC, and Sissy, with clowns, rabbits and tigers stamped into the leather for cuteness. All packaged in sealed plastic bags inside a white organza drawstring presentation bag and boxed for shipping. *Please note, that the price is for 1 single Pacifier and Clip holder strap. We Ship WORLDWIDE and only ever use very discreet plain unbranded packaging, with just our zip code not our business name on the exterior of parcels as required by our shipping agent. All items are Tracked and signed for security purposes via Royal Mail First Class, so you will need to sign for the package on delivery once we provide you with a unique tracking code.